UNITS from Huntington Beach, Garden Grove, Fountain Valley and the OCFA fought a strip mall fire in Westminster on Wednesday (OCFA photo). Seventy firefighters were called to battle a blaze in the 9200 block of Bishop Avenue in Westminster Wednesday afternoon. 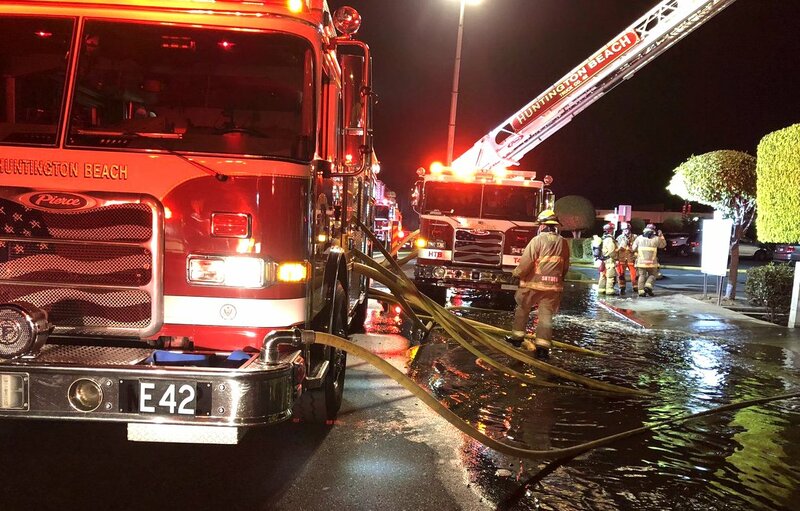 According to authorities, the fire at a strip mall burned into the attic of a business and up on the roof, but was kept from spreading further. One firefighter suffered a minor injury and was taken to a local hospital. Agencies participating included the Orange County Fire Authority and units from Garden Grove, Fountain Valley and Huntington Beach as well. Bishop Avenue was closed between Westate Street and Bushard Street for the duration of the firefighting and mop-up.